Many notebook PCs do not feature a 6-pin but only a 4-pin Firewire port. 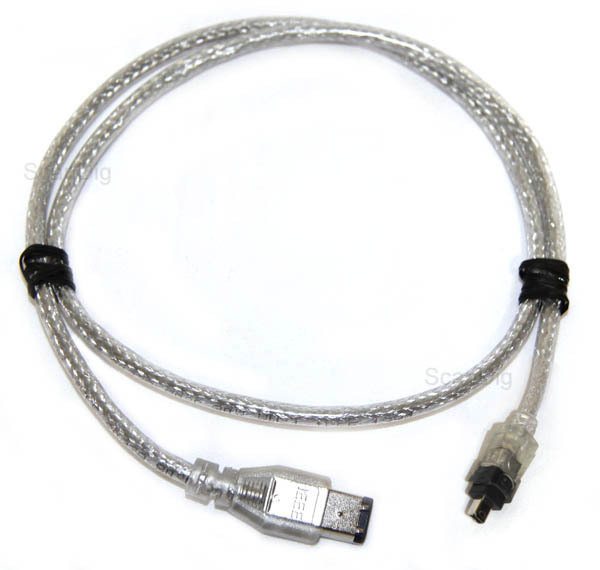 Film scanners with Firewire connection usually come with a 6/6 cable. By means of a 6/4 cable these scanners can be connected to a notebook PC.